Can Peak Gerrymandering by GOP be Challenged by Progressives? In a dramatic outcome that could well change national politics, a Federal court last November found Wisconsin’s highly gerrymandered electoral districts to be unconstitutional, since they were clearly designed to deprive Democrats of the vote. As WaPo points out, if other states with extreme gerrymandering are also taken on by the courts, or if the Supreme Court weighs in for the whole country, then the artificial hold of Republicans on power in the House of Representatives and many state legislatures could come to an end. In the 2016 election for the House, Republicans received 52% of the popular vote but seized control of 57% of the seats. In states where the legislature draws the electoral districts, there is always a temptation to design them in such a way as to disadvantage the rival party. That is why non-partisan redistricting commissions ought to be the ones drawing these lines (as is now the case in California, e.g.). But what had been an occasional problem became systemic starting in 2010, when Karl Rove, the Koch brothers and other Republican operatives began a drive to have Republican-dominated state legislatures gerrymander the districts in a way to ensure that they could not easily be unseated and that the Republicans would have an advantage on the Federal level in Congress. Typically these redistricting schemes disenfranchise people who live in cities. Thus, Austin, Texas, which reliably votes Democratic, was split into 8 districts, each of them attached to a big rural hinterland where the city folk could be over-ruled by Republican voters. The Wisconsin decision was influenced in part by a new, statistical, way that academic political scientists came up with to measure unfairness in redistricting, which they call the efficiency gap. An efficiency gap of 7% or more means that the other party can never hope to get back into power. The efficiency gap for Wisconsin’s gerrymandered districts is 15, in favor of Republicans. 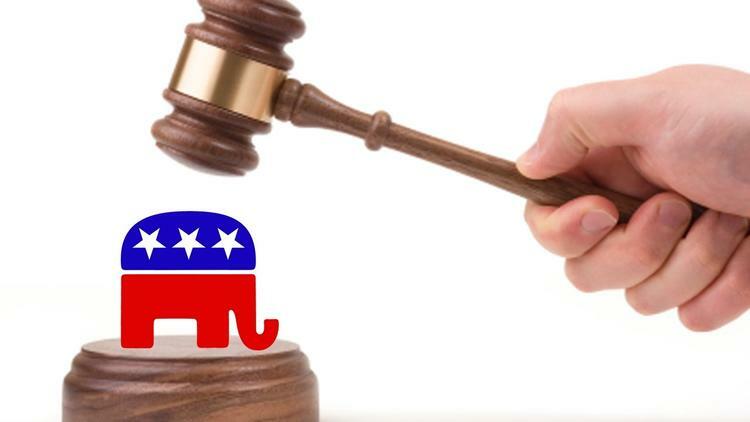 Unfair redistricting on racial grounds has long been disallowed by the courts (which is not to say the Republicans don’t try to get away with it from time to time). But unfair redistricting on partisan lines has not typically been something the courts wanted to interfere in. Only because of the new efficiency gap measure were they persuaded to rule against extreme partisan gerrymandering. In fact, the state of Wisconsin argued that the plaintiffs did not have standing to sue over the discrepancy, since they weren’t proven to have been significantly harmed. Because of the extent of gerrymandering already institutionalized, it is very unlikely that Democrats can improve their position dramatically in 2018, and, indeed, very likely the Republicans will make gains. This rigidity is dangerous to our Republic. The House is supposed to be able to respond quickly to national threats. Because of extreme gerrymandering, the nimbleness of the system is gone. Teabaggers back in 2010 and 2012 were always nattering on about getting their country back (by which they appear to have meant that they had a Black president.) Progressives need actually to get our country back, and gerrymander reform is one necessary step along that path.